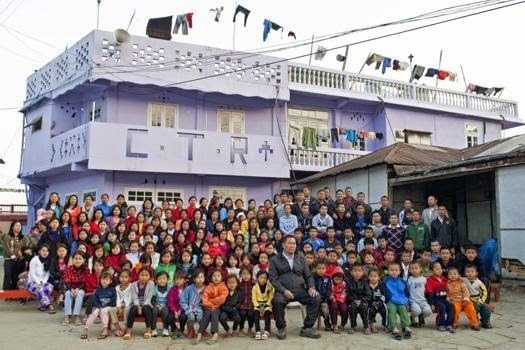 Ziona Chana hasa has 39 wives, 94 children, 14 daughters-in-law and 33 grandchildren. 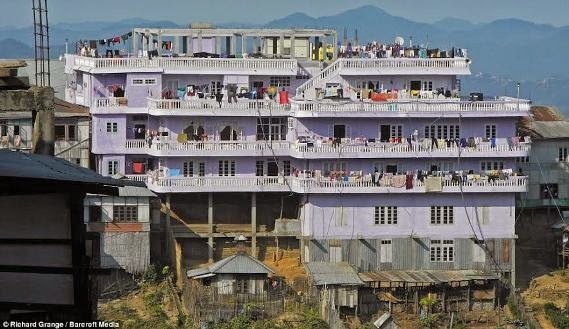 They all live with him in his hotel-like 100-room, four-story house perched among the hills of Baktwang village in the Indian state of Mizoram. 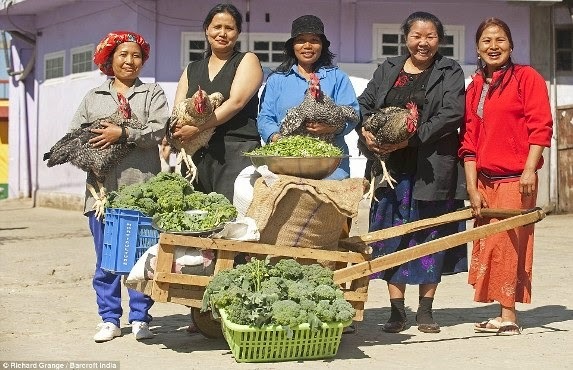 One year, he married ten wives. Two of them sisters. 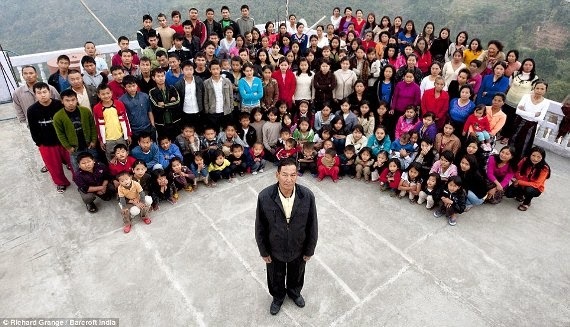 His 39 wives say they are blessed to have him and take turns to share his bed. Coincidentally, Mr Chana is said to head a sect that allows members to take as many wives as they want. 'We stay around him as he is the most important person in the house. He is the most handsome person in the village. As at 2011, he said he was looking at marrying new wives to expand his family.